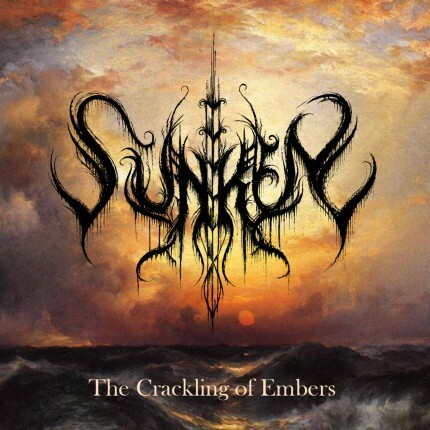 Related links to "Sunken - The Crackling Of Embers LP"
"The Crackling of Embers is anything but makeshift. Instead it is rather well-crafted, and performed with cautious respect and reckless abandon in equal measures. The potency of the quintet's songwriting cannot be denied as the two tracks found on the demo have both impact and lasting atmosphere. Though straightforward on the outside, once the layers start peeling back to reveal what lies underneath Sunken unveils their true identity as an entity of many currents. Their heart lies heavy with organic and atmospheric black metal compositions, but more than once do they nod off to the dreaming nightmare-lands of funerary doom metal processions. "At a cursory glance The Crackling of Embers and its twin track Extinguished seem humdrum and commonplace,"